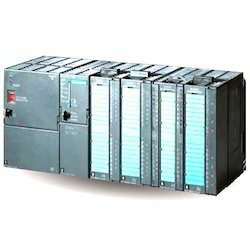 Because of our highly talented team, we are involved in providing a wide array of Programmable Logic Controller. Our organisation is attained a distinguished place in the industry by providing a qualitative range of PLC Logo that is strictly examined against diverse quality parameters. 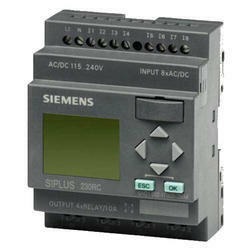 4input and 2output based device is used to control pneumatic valve or any AC/DC operated device as per desired logic. The input may be Photoelectric sensor , proximity sensor or a limit switch. output may be any pneumatic based device such as a pneumatic gun or any AC/DC device. Being a noteworthy enterprise of this industry, we are offering a wide spectrum of Rockwell PLC.